Butterfly badges™ (article 1070.00): A4 paper sheet with integrated laminated congress badge with one slit at the top of the congress badge for a badge clip or for a lanyard/ keycord with one carbine hook or clip. 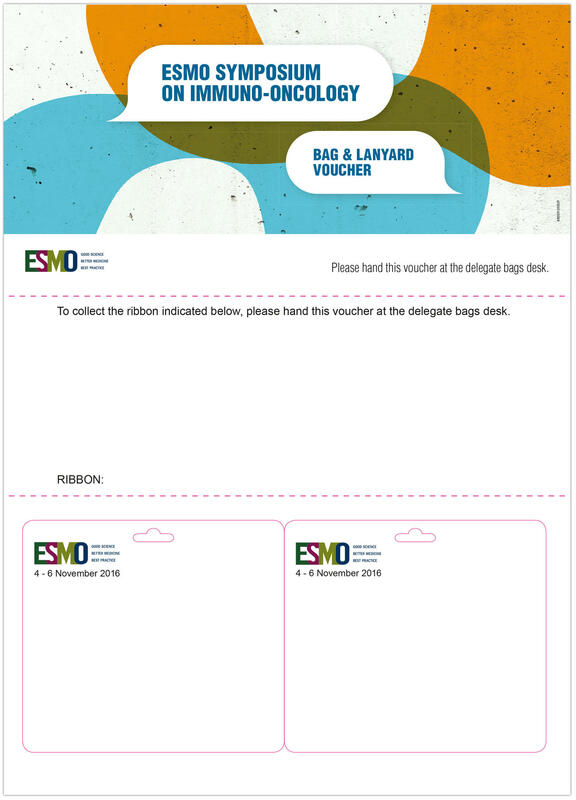 The butterfly badges can be printed automatically on both sides by using any kind of laser printer, ideal for sending as confirmation letter including the congress badge. Finished badge size 97 x 86 mm. Made of 120 grs FSC paper (FSC = Forest Stewardship Council). 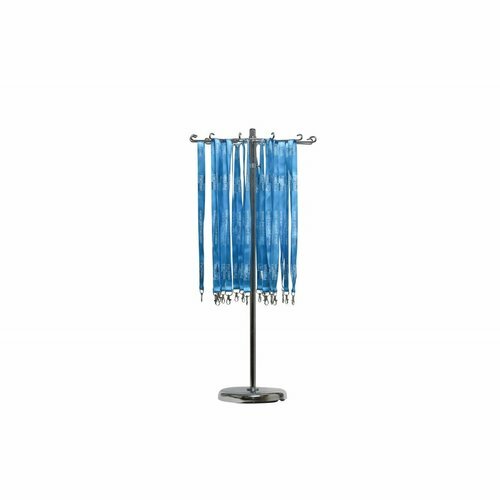 The lamination used does not contain any heavy metal or chlorine and is manufactured without solvents. Incineration with thermal energy recuperation is harmless for the environment. Both paper as lamination can be sorted out in paper recycling and is inert in waste deposit. Very easy to use: print, peel off, fold, ready. Time saving compared to traditional badge holders where you have to tear the paper and insert it in the badge holder. 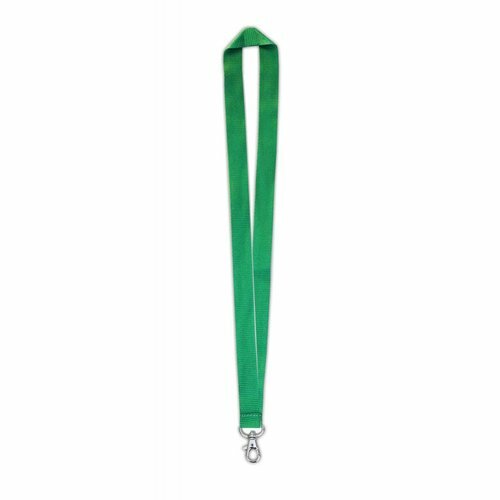 Strong and durable; suitable for events that are lasting one or several days. Most popular badge type at present, both for small and big conferences. 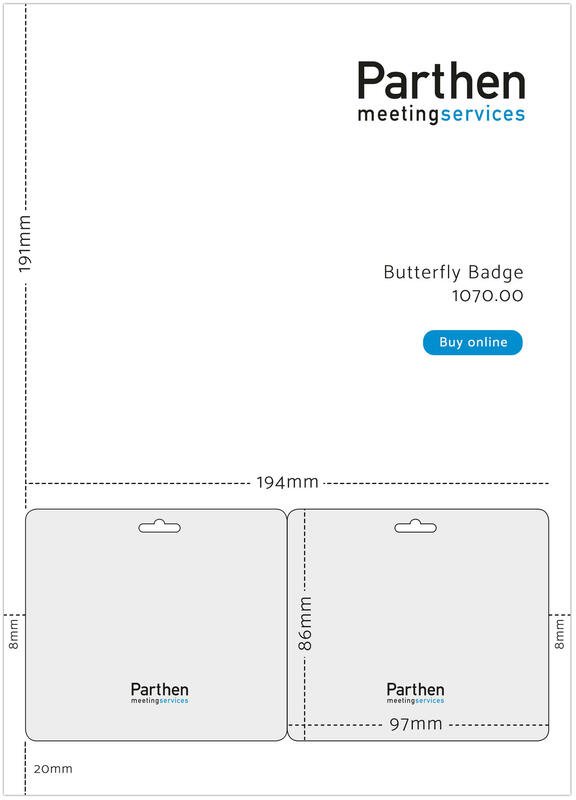 There is an option to have the butterfly badges pre-printed in offset and to have perforation lines wherever you wish. In that case you can create tickets and vouchers in any size you wish on the same sheet as the badge. Please contact info@parthen.nl for further information of all possibilities. 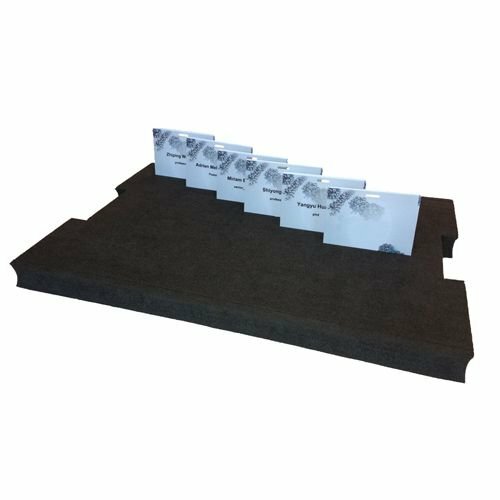 Available in packs of 500 sheets and packs of 50 sheets. Also available with 3 badges per sheet, with two slits and in different badge sizes.